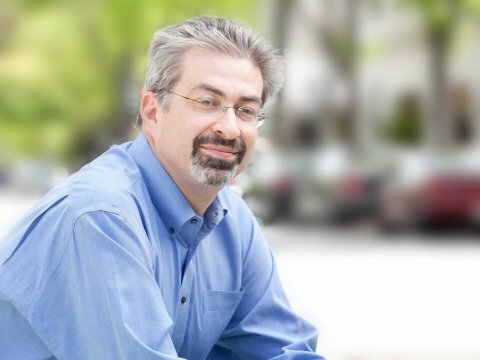 MongoDB Vice Chairman Max Schireson made waves in August when he said he was leaving his role as the company’s CEO in order to spend less time traveling and more time with his family. Since then, the company has continued its momentum with a new CEO, new products and some new revenue streams. Schireson came on the Structure Show podcast this week to talk about how the company is doing, where it’s headed and how his life has changed since the publishing the viral blog post announcing his resignation. This is one of our more interesting interviews, in that it touches on everything from disrupting a $40 billion database market to the roles of fathers in their kids’ lives. Here are some highlights, but it’s definitely worth listening to the whole thing. “I think what we see is everybody from Oracle, Microsoft, Amazon, IBM — all the big players — recognizing that the model we hit on is how developers want to build applications in the future,” Schireson said in response to a question about how MongoDB is dealing with the fact that a growing number of database vendors and cloud providers are integrating support for the JSON file type, MongoDB’s bread and butter. Although, he noted, [company]MongoDB[/company] actually does have a strong partnership in place with IBM. What’s the open source business model? The new management tools the company announced earlier this week, which it estimates could result in an additional $750 million in annual revenue, have been underway for year, he added. I think part of what people responded to, the question I asked was why do we ask women how they do it and not ask men? I think that’s important that we look at those work-life balance issues not just for women, but for men. For two reasons: Number one, I think that they’re important issues for men and, number two, as long as it’s viewed as a women’s issue I think that it can be marginalized and the problem isn’t solved necessarily for women as well as it would be if it was just an issue for people in the workplace. Schireson pointed out that work-life balance isn’t just an issues in the tech industry, and that his particular situation — living in Palo Alto, California, while most of the company is located in New York — might have made a difficult arrangement impossible. Responding to questions about why MongoDB wasn’t more conducive to his desires, said it wasn’t really fair to ask the company to accommodate him more than it had. “[T]he fact that living 3,000 miles from the center of a company isn’t necessarily compatible with running it, to me, is not an an indictment of work-life balance in the tech industry, in general,” he said. Schireson said he’s still confident he made the right decision in stepping down, both for himself and the company. He’s proud of his tenure helping grow the company to what it is today, and new CEO Dev Ittycheria’s experience running large companies will actually be a boon to MongoDB. “It really just sort of felt like a win-win situation, where we could bring some additional skills onto the team, and probably make my own shares more valuable, and have a saner life,” Schireson said. Of course, if you have a few million dollars in stocks, you can afford to quit work and go spend time with your family. Pity this isn’t a practical choice for most people.